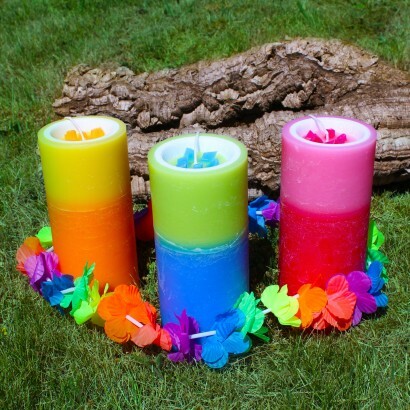 Spread feel good summer vibes throughout your home and garden with fresh and fruity fragrance from these chunky pillar candles! 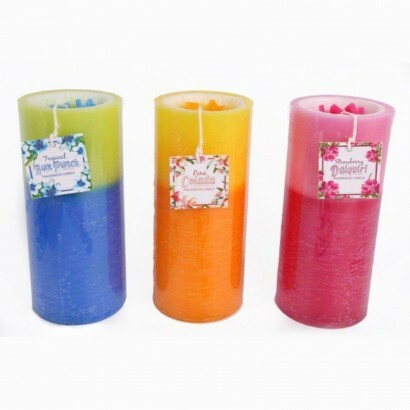 Choose from Pina Colada with vanilla undertones, sweet Tropical Rum Punch or fruity Strawberry Daquiri for fresh scents and all the summer feels. 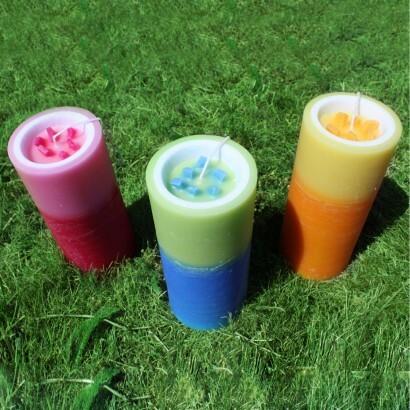 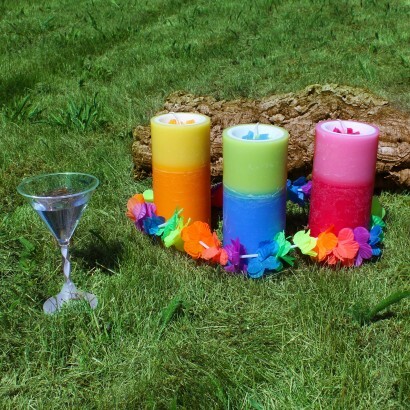 Brightly coloured with a stylish ombre effect, these colourful highly fragranced pillar candles add instant feel good atmosphere to your home and garden.